Tinkimätön High-End soitin. 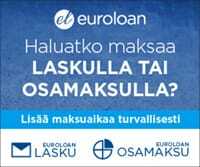 Värivaihtoehtoina pianomusta, mahonki ja oliivi. • Mass-loaded belt drive subchassis design • Magnetically decoupled main platter • Resonance-optimised alloy With built-in TPE damping • Inverted main bearing with ceramic ball • Motor control system for perfect speed stability • Single-pivot tonearm Signature 10 • Chassis with magnetic decoupling • High gloss metal surface • High class finish options: black piano, mahogany, olive • Dust cover separately available: Cover It 1 Audiophile beauty with “state of the art” quality for vinyl lovers! Signature 10 is a non-compromise highend turntable/arm configuration with a sophisticated concept combining mass-loaded with floating turntable principles. Magnetic feet and TPE-pillows decouple the resonance-free metal granulate filled MDF-chassis from surface. The subsequently benefits from a wonderfully resonance-free, heavy platter, that runs ultra-silently on an inverted ceramic ball bearing with magnetic suspension and is also TPE damped. The new 10” single-pivot tonearm is a genuine Pro-Ject design. With its wide range of adjustment possibilities and the choice of adequate counterweights, nearly all cartridges can be mounted. Signature 10 is an audiophile marvel, that represents our championship in precision engineering and our deep love for music! 3 different luxurious high gloss finish options are available: mahogany, pianoblack and olive. 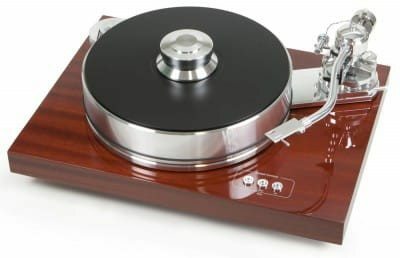 XLR Option Pro-Ject Audio Systems offers their highend turntables with premium 5pin>RCA unbalanced arm cable or - by request - with premium balanced 5pin>XLR connection to Pro-Ject Phono Box RS preamplifier. Phono Box RS offers balanced phono inputs, what guarantees superior results in highend vinyl reproduction with a balanced signal source. NOTE: The signal source and the receiving device have to be equipped with balanced connections. Transmission of audio signals in a balanced mode reduce the influence of interference due to external stray electric fields significantly.